Address: Highway Atalbeitar s/n, 18414, Pitres, Granada. From Granada, it takes the Granada-Motril motorway towards Motril. Take LANJARON / output ALPUJARRA. Follow the A348 to Lanjaron, pass the village and continue to Orgiva. At the entrance of Orgiva, left after a BP petrol station, take the A4132 towards Villa Turistica de Bubion, Trevelez / Carataunas. (Now you are about 30 mnts from La Viñuela). Continue this road 25km until Pitres. 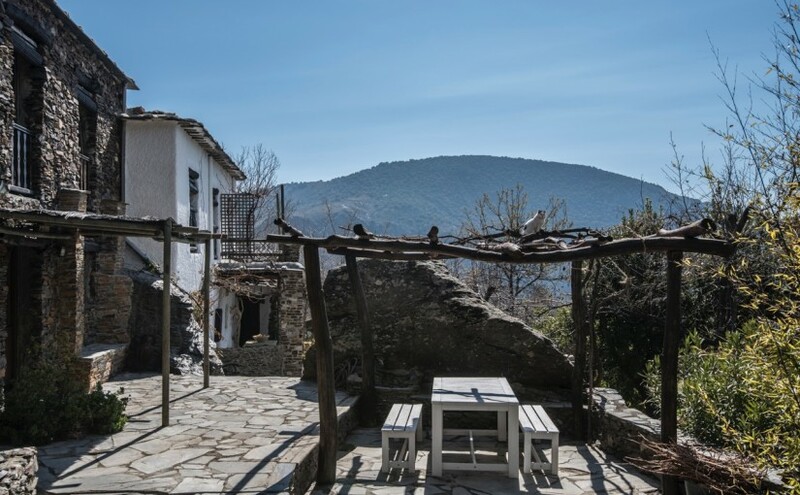 Pass the village of Pitres without entering the town above and follow the same road towards Trevelez for 1.5km, passing a bridge (river Bermejo), a curve and the road continues to PORTUGOS and there is a petrol station in the left. Before arriving at the petrol station take the small road to the right towards ATALBEITAR. It is quite steep but trucks, buses and passenger cars down without problem. Continue down this road for 1.5km. 500m before reaching the village of Atalbeitar take the first concrete track on the right with a wooden sign that says “Cortijo LA VIÑUELA”. Care, our input has a very sharp turn to the right and below five humps. There is space for parking on arrival in the area with stones, please do not bring the car to the house. We live in the last house in the building that you find yourself on arrival, from the stone house with a large rock, a white porch and a large rock before coming to our door that you come up to a staircase. From Malaga, the best way is coming from Motril and take the motorway exit: 164 Lanjaron-Alpujarra before Motril. Then carry on until Orgiva and from here have a look to the previous explanations.